i play my guitar often. it’s a habit, years in the making. i play when i’m stressed. i play when i’m bored. i play when it’s just sitting around. i play it a lot. this has gone on, off and on, for about 14 years now. i have 3 guitars, but one of them i rarely play. it is new. it is a mini. but it sounds like crap, unfortunately. actually, it sounds okay for hand picking, but strumming with a pick, not so good. so in a way, i still feel like i have only 2 guitars. they both have distinct personalities and distinct sounds. one has a warmer tone that really sings when strumming hard. the other is slightly more metallic, and tends to play better with finger picking. i genuinely love both. one i bought with the help of my dad (actually, all the help of my dad) back when i was a freshmen in college. after hearing a fellow dorm-mate doodling around on his guitar in the hallways, i decided i also wanted to learn. 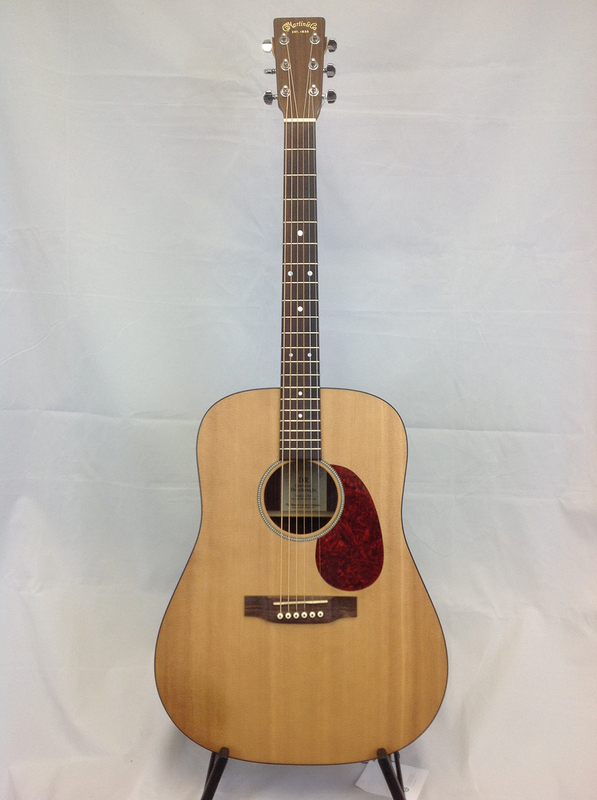 a few months later, my dad–the generous dad that he is–bought me a wonderful new rosewood martin. it sounds better as the years go by. one thing i still don’t understand is why the strings get out of tune SOMETIMES while other times, they don’t. opening my case and taking out my guitar is always an experience in surprises. will it sound the same? will i have to tune it? which strings will i have to twist and turn to adjust? they say humidity and temperature affects the sound. still, i wonder what particular conditions for a particular day make my guitar tune in or out in this or that particular way. music is an interesting thing. more often than not i feel like i’m never truly improving, even if i play a single song everyday for months. rhythm is still the hardest thing to maintain. that was the first and only thing that mattered according to my ex-violin teacher. get rhythm right, first. then pitch, intonation – all that other stuff – comes after. i still believe he was right. but staying ON TIME is still a challenge. wonder if staying ON TIME, on the beat “equaling” “good music” is a social construct or something innate? do baby humans find music OUT OF TUNE or OFF BEAT any less enjoyable than the most polished musical performances? i wonder. sometimes i fantasize if i had ever pursued music as a “real” profession. couldn’t have been any less difficult than the grad thing. then you get slotted as THIS genre or that. i like folk and acoustic. but i also like everything else i can get my hands (and ears) on. does this make me some sort of greedy, musical imperialist? out to “try” new sounds, new “cultures,” yum yum? or just another wannabee erudite type who spouts how much esoteric music he knows. this band, that band you’ve never heard of but i’ve known since i was little. those types bug me. but i suppose i’m sort of like that myself. need to keep that in check. anyway, i still love my guitars.